Let them entertain you! Casting is complete for the Muny's upcoming centennial-season production of Gypsy. 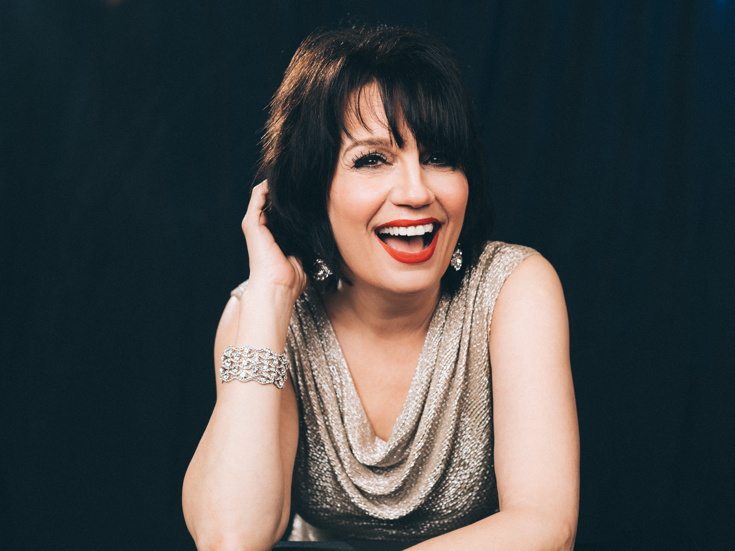 Rob Ruggiero will direct, Ralph Perkins will choreograph and James Moore will musical-direct the new staging—headlined by the previously announced Tony winner Beth Leavel—scheduled to run from July 27 through August 2 at the St. Louis outdoor venue. Joining Leavel as Rose will be Adam Heller (It Shoulda Been You) as Herbie, Julia Knitel (Beautiful) as Louise, Hayley Podschun (Hello, Dolly!) as Dainty June, Jennifer Cody (Shrek) as Tessie Tura/Miss Cratchitt, Ann Harada (Cinderella) as Electra, Ellen Harvey (Present Laughter) as Mazeppa, Tony nominee Lara Teeter (On Your Toes) as Uncle Jocko/Phil/Minsky’s Announcer, Kip Niven (Annie Warbucks) as Pop/Cigar/Philadelphia Announcer, Drew Redington (The Prom) as Tulsa and Michael James Reed (La Bête) as Weber/Bourgeron-Cochon/Detroit Announcer, with newcomers Elise Edwards as Baby Louise and Amelie Lock as Baby June. The Gypsy ensemble will include Kevin Curtis, Meghan Faddis, Ciara Alyse Harris, Haley Holcomb, Zachary Daniel Jones, Chris Kelley, Evan Kinnane, Katie Pohlman, Jack Sippel, Gabi Stapula, Daryl Tofa and Keaton Whittaker. They will be joined by the Muny Kid youth ensemble. Loosely based on the memoirs of famed striptease artist Gypsy Rose Lee, Gypsy centers on the path taken by her mother (Leavel) to ensure the stardom of her daughters. Gypsy features a book by Arthur Laurents, music by Jule Styne and lyrics by Stephen Sondheim. The Muny's Gypsy will feature scenic design by Luke Cantarella, costume design by Amy Clark, lighting design by John Lasiter, video design by Nathan W. Scheuer and sound design by John Shivers and David Patridge.